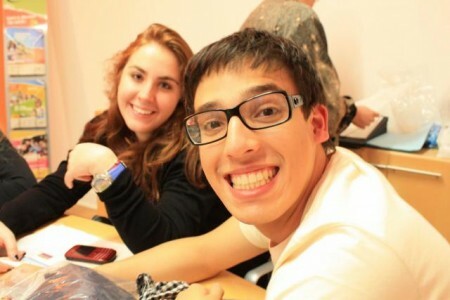 Your exchange program with WEP Australia is a unique way to learn French while you live with a family and study in Belgium. There is no language prerequisite for this program and the quality of the French language in Belgium is comparable to France. Belgium is famous for medieval cities, gothic cathedrals, castles, diamonds, waffles, chocolates, and frites (fries). It is a compact country nestled between Germany, France, the Netherlands, Luxembourg and the North Sea. The northern Flemish speak a variety of Dutch, the southern Walloons speak French and a small pocket of citizens speak German. The capital, Brussels, is officially bi-lingual but mostly French-speaking. Who would have thought that in an area approximately half the size of Tasmania, a nation of over 11 million people speaking three different languages could peacefully co-exist?! On arrival, the Belgian WEP partner conducts a three-night, French language and group orientation program in Brussels. This introduction to Belgian culture and language includes small informal group activities, classes and sightseeing. The cost of this activity is included in the overall program fee. Brussels, one of Europe’s great cities, is also the capital of the European community, home of the European Parliament and NATO headquarters. The cosmopolitan nature of Brussels has created a tolerant and welcoming attitude towards foreigners. Learning French in Belgium is a wise choice! The linguistic diversity of the country ensures that Belgians are used to accommodating first-time French learners. School days are shorter than in France, and public transport is readily available in most towns. PLUS you may even have the opportunity to see Paris! So what are you waiting for? 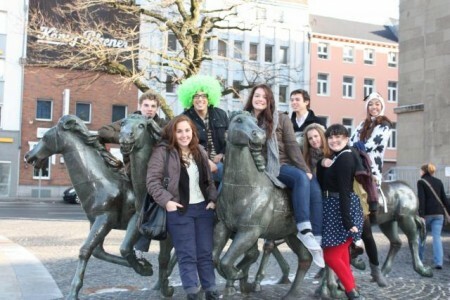 If you’re interested in becoming a WEP exchange student and learning about European culture, why not study in Belgium? Keep on reading below for more information! French and Flemish-speaking options available! For French-speaking programs, a three-night language and cultural program in Brussels, including French language classes, a weekend trip to Paris in April/May and a day trip to another European city during the second half of the year. Language preferable but not mandatory. See FAQ. In this month's WEPisode, we take a look at Ben's exchange to Belgium!